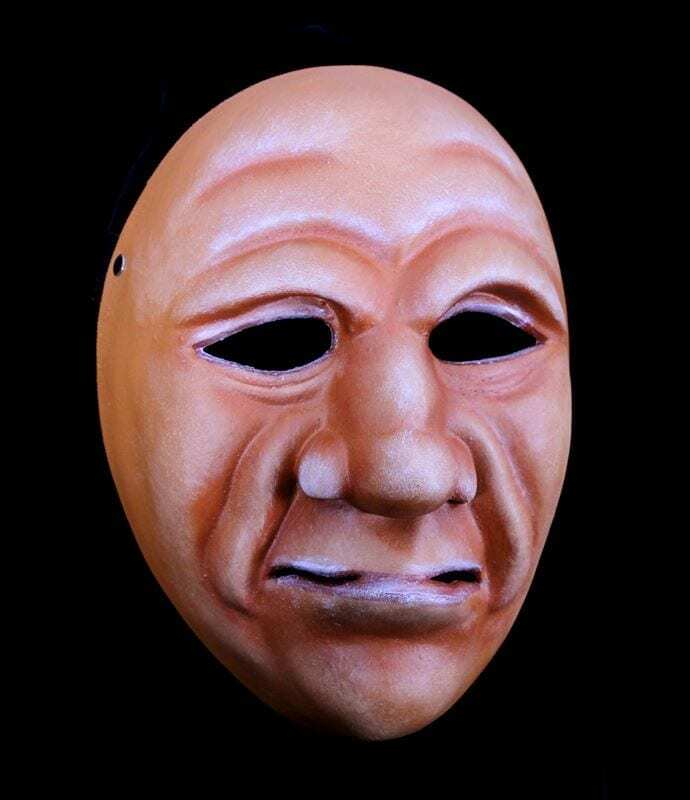 This full face character mask sees the world through calm, joy and desire. It is a character that will bring you gifts when least expected and show up to do your chores when you are tired. 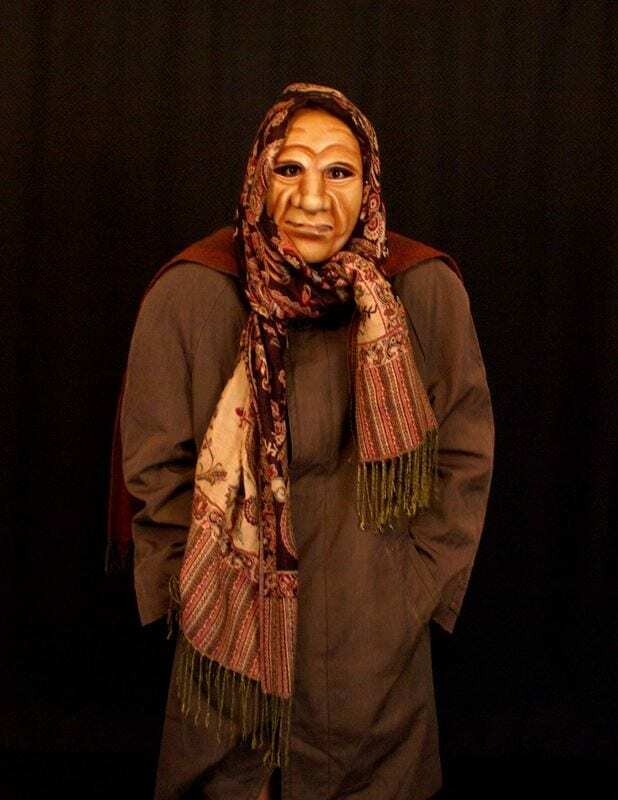 This is a mask of great poetic relationship and humanity. 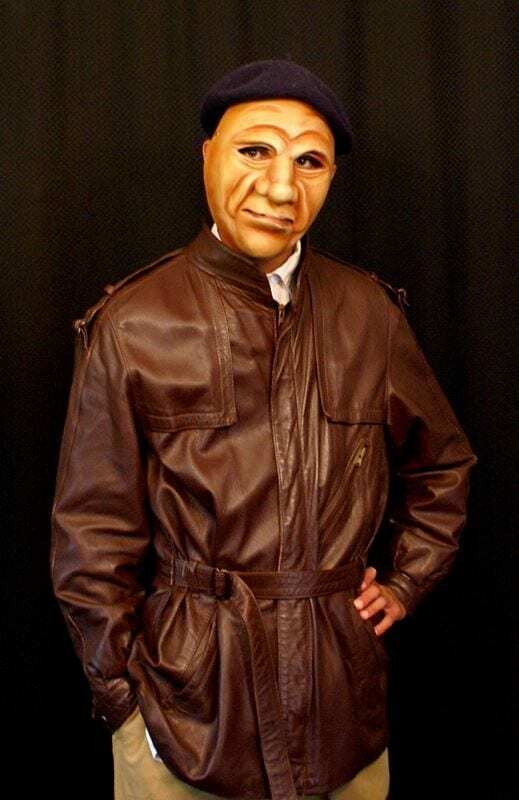 This mask is made of neoprene a rigid latex and is a perfect mask for classroom training and production. All the masks come with a care sheet that outlines how to keep them in good repair and clean.